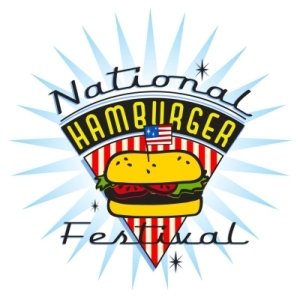 National Hamburger Festival founder Drew Cezra announced this week that former competitive eater Dave "Coondog" O'Karma will serve as the honorary chairman for this year's festival, taking place in downtown Akron on August 8th and 9th. The announcement was made at a news conference held at the Akron Rubber Ducks stadium, and also celebrated the 10th year of the annual festival. Akron Mayor Jeff Fusco attended the conference, as did several restaurants who participate in the festival. One of the best-known local hamburger restaurants, Menches Brothers, brought a 10 pound burger in honor of the event. I had a chance to try a piece of the burger, and you'd think that being as big as it was, it would just taste like plain old ground beef. I have to hand it to them- even that big chunk of burger had the same great taste that I expect from Menches Brothers. In addition to all of the regular live events, a new craft beer tasting and indie rock showcase is being held on Sunday the 9th. Thirsty Dog Brewing, Buckeye Brewing, and several other local and national brewers will have their beers on draft. Try their beers while you listen to the bands and the kids play on the free inflatables. The festival is being held at Lock 3 Park (200 South Main Street, Akron, Ohio) on Saturday August 8, 2015 (12-11pm) and Sunday August 9, 2015 (12-7pm). Admission is $5, and children under 8 are free. The National Hamburger Festival is being held this year on August 9th and 10th of 2014 in downtown Akron. Some of the best burger joints around will be setting up shop on Main Street so that you can decide for yourself who makes the best burger. Entertainment and special events will take place in Lock 3 Park throughout the weekend including the Ohio Burger Eating Championship, a burger cook-off, bobbing for burgers, and the Miss Hamburger Pageant. Visit the Hamburger Festival site for a schedule of events. 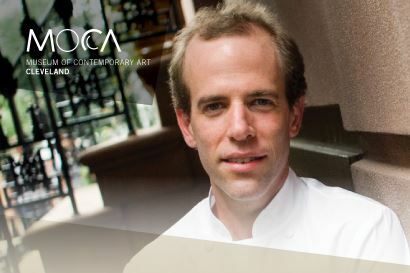 Chef and author Dan Barber and local author Michael Ruhlman will be appearing at the Cleveland Museum of Contemporary Art (MOCA) on June 10th, 2014 at 6:00PM. Barber will be discussing his new book The Third Plate, and will be talking with Ruhlman about his vision for the future of American eating. Bar Louie will be holding their 6th annual Tater Tot eating contest on Thursday, September 19th at 8pm. The event will be taking place at all of the Bar Louie locations, including those in the Cleveland area (Legacy Village, Cleveland, and Westlake). For more information, visit visit www.rockthetot.com. The National Hamburger Festival is being held at Lock 3 in downtown Akron on August 18th and 18th of 2013. The Hamburger Festival is back for another year in Akron! Come down and try a few burgers- ranging from the traditional to the unique. In the past there have been deep-fried burgers, greek burgers, breakfast burger, and other variations you might not have ever dreamed of. For the past several years, I've been a judge in the best burger competition, and I've been asked back again this year. It's a chore tasting so many burgers, but I'll power through it and let you know how it goes. Check back after the festival for the competition results, and in the meantime, hope to see you there!